Whoops... I got distracted with work, so I totally missed this. I guess I'm not gonna have a BHQ M4 Yojimbo. 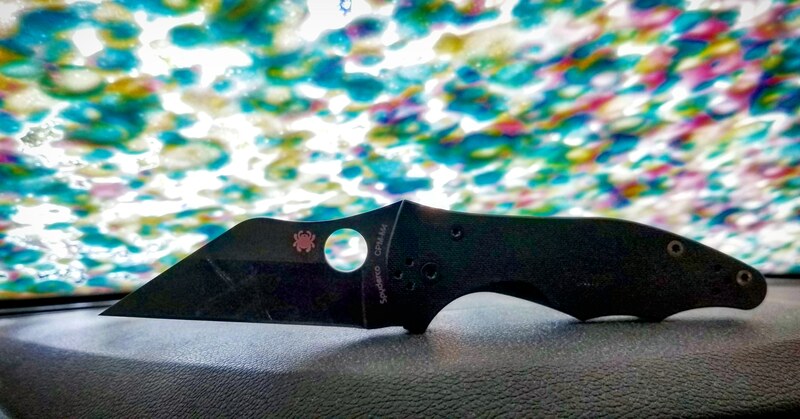 I only own a Para 3 in CPM Cruwear. It is a favorite, but I think either the grey g10 Manix 2 or grey g10 PM2 could easily have become my favorite. I hadn't been bitten yet when those were released. I hope for a CPM Cruwear Manix LW and eagerly await the micarta Shaman with CPM Cruwear. I got mine a couple months ago. I wasn't even expecting them, but I'm glad to have them. Thanks for this thread! It's one of my annual favorites too! I look forward to whatever else we're allowed to see! 3" Manix-like CBBL or compression lock knife with K490 comes to mind. Any existing CBBL or compression lock model with K490 would be a great start. Those are some nice grinds! Roughly how much does such a SE grind cost? I understand cost should vary with steel composition. I agree that this is a great ideas. Blue PITS and REX 45 Military.